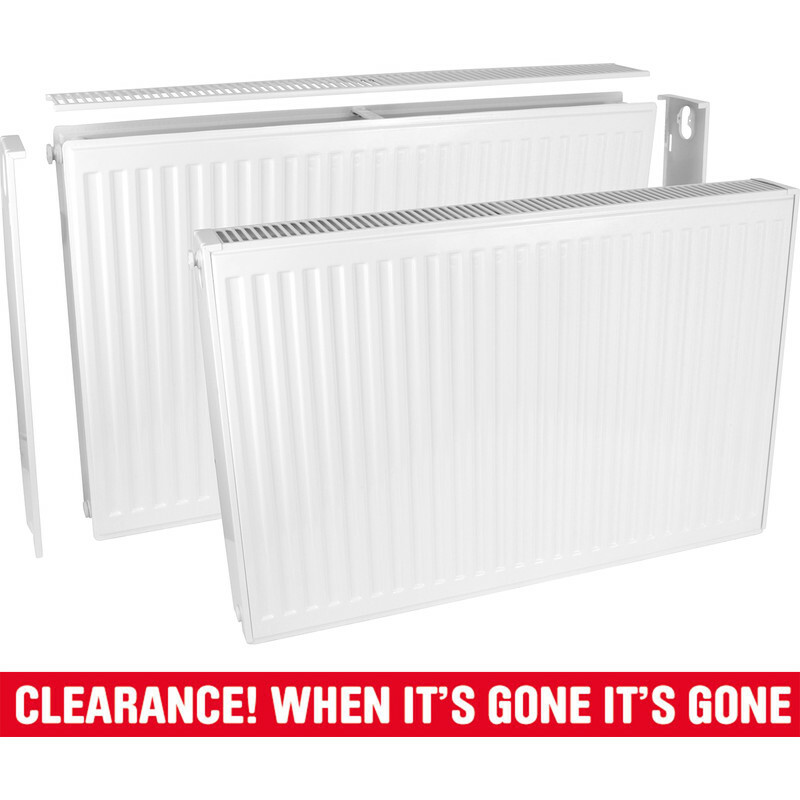 Type 11 Single-Panel Single Convector Radiator 500 x 400mm 1121Btu is rated 3.6 out of 5 by 79. Rated 2 out of 5 by BruceB from Poor build quality The side panels aren't fully attached to the radiator, they wobble with the slightest touch. The radiator itself has several small indentations in it, possible caused by the poor packaging (the radiator was covered in bubble wrap and couriered like that, no box or anything to protect it). There are also circular marks at regular intervals up the main part of the radiator, probably due to a poor manufacturing method. Good price, but you get what you pay for. Rated 5 out of 5 by G James from Good Quality at a good price I bbought thi to replace an existing Radiator of the same size. The only improvement would be if the Industry would standardise the location of the hanging plates so ypou did not have to replace the Wall bbrackets and their location. Rated 5 out of 5 by Mr Tall from Fits snugly against the wall, no gaps. We were replacing an old cast iron radiator, which was very thin and didn't block the hallway. This one takes up no more space, so we are very happy. Rated 1 out of 5 by Jamaisarriere from ONE IN FVIE DAMAGED IN TRANSIT POOR WAREHOUSING Two of ten radiators were received damaged. Notscuff marks but rad fixings absolutely flattened. Not damage that is caused by falls during transport since it would take a huge impact on the fixings to make be such dents. Lost time and had to travel back to store to return faulty items. Why did I have to do the running about?